My yellow rose gave me another bloom today, she's alone but she's pretty. When I bought this rose, I thought that it wouldn't survive because half of the stem is already dead. I bought it anyway and be optimistic about it while I was planting it. Now, she is doing good compared to the red one that I bought which was very healthy that time. The red one did not do any good this year. If you will analyze the two roses that I bought, you could compare it to people. Sometimes, those people whom others would think will not achieve anything is the one that usually succeeds, just like me. ahem! Hahaha it's true though, the people in our place then are judging me that I will never finish any education, I am glad I wasn't distracted with those criticisms. So, to start our week, let us all be optimistic and think that anything is possible if we set our mind to it. Have a great week everyone and thanks for visiting and commenting.! Here's the man-made mini falls that can be found at the zoo in Pittsburgh. It's sx minutes till 12 am and here I am just starting to blog wahhh.. No, I won't be up late, I just want to update this blog before I go to bed. Hopefully, I would be able to visit blogs tomorrow. I spend the whole day cleaning all our bedsheets. Stripped off the beds and washed everything to get rid of those germs from our sniffles and colds. Good night everyone! Summer will officially end on September 23. Some of the trees in the are a are starting to turn their colors into yellow and orange, indicating that Fall is almost here. My favorite season is Fall and Spring! How about you? While I was doing my laundry at the basement yesterday, my son was also busy trying to figure out how to blog hehehe. I asked what he was doing when I came up and he said "I am trying to blog Mom." Hmmm, big influence lol. Here's my handsome future blogger lol. When my PC got infected with the virus last month, hubby took it to the computer repair shop. The owner mentioned that his expertise is fixing laptop. Since some of the keys on our laptop's keyboard are not functioning anymore, hubby brought it there to get fixed. We drove by there today to see if he is done fixing it but he said that he ordered a new keyboard for it. 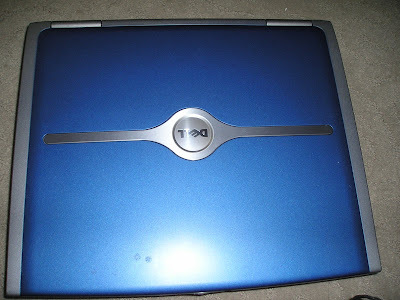 He said that the laptop memory is still in great condition which I am happy about. That laptop was given to me by my husband as a graduation gift when he came home to see me for the first time. That's why I brought it when I migrated here because of its sentimental value. I am glad that it's going to be fixed again. Here's another set of photos of animal that I took pictures of at Pittsburgh Zoo. This time, it's the Native American Black Bear. I feel bad for these bears because the place where they roam around is a very small rocky place. It must have hard for them to live there compared if they are in the wild.. But I guess, they are used to it now since they have been living there. They are paying for the enjoyment that we, viewers get, I guess. But despite of how bad I feel that they are contained in a limited space, I am also glad that they are in the Zoo because I was able to see different animals. Have a safe weekend everyone and thanks for visiting my page. Okay, let's be wacky today because the theme in Mommy Moment this week is being wacky. If you are a frequent visitor to my blogs, you know already how wacky they get when I try to take pictures these days. Here are some. See this one, I thought I was capturing a good one but no luck lol. She even take pictures of herself making faces hahaha. Sorry Mommy Chris for my long absence in Mommy Moments. I am just too busy here but I miss participating every week. Maybe I can keep up now, I'm keeping my fingers crossed lol.